Brickfête Ottawa a Big Success! 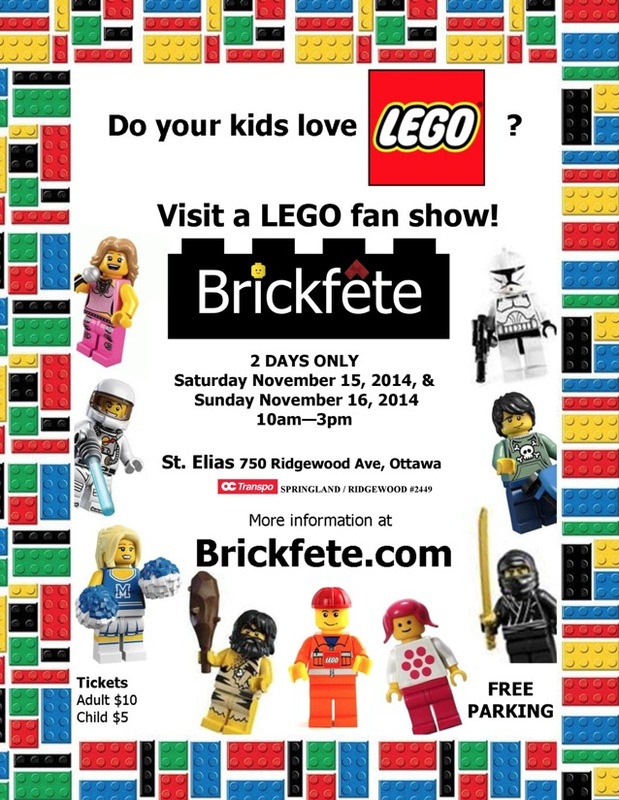 Brickfête Ottawa 2014 was a resounding success! The public response was overwhelmingly positive and both public days were very busy. I brought my Fareham Lego model train layout and despite a few hiccups, it performed solidly for 2 intense days of operation during public viewing. Displaying my layout at events is one of the few times I get to actually photograph and video the layout. This time I did take extra time to video trains in motion. I put together a montage video of trains operating on the layout and posted it to my flickr account and my newly created brickdimensions.com YouTube channel. I did not expect the immensely flattering response that the video would have! It was blogged by the Brothers Brick and by Gizmodo the next day! Thanks! The event attracted some great coverage in the local media even though they changed my name to Emmet due to being dressed up as Emmet from the Lego Movie during public days!